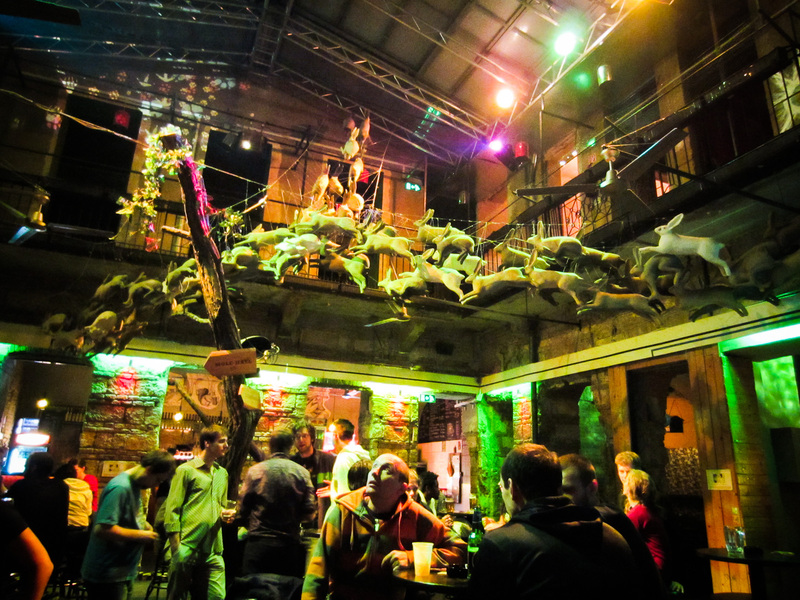 A ruin pub in Budapest—two houses turned into an enchanted forest. 23 rooms, 6 bars, 2 open gardens, 3 dance floors, exhibitions, constant music, and a huge, breathtaking, absorbing installation create an otherworldly unity in this Babylonian forest. That’s accurate. And doesn’t the guy in this picture look fascinated?